This demonstrates that even the simplest and shortest pieces of text need proofreading services. 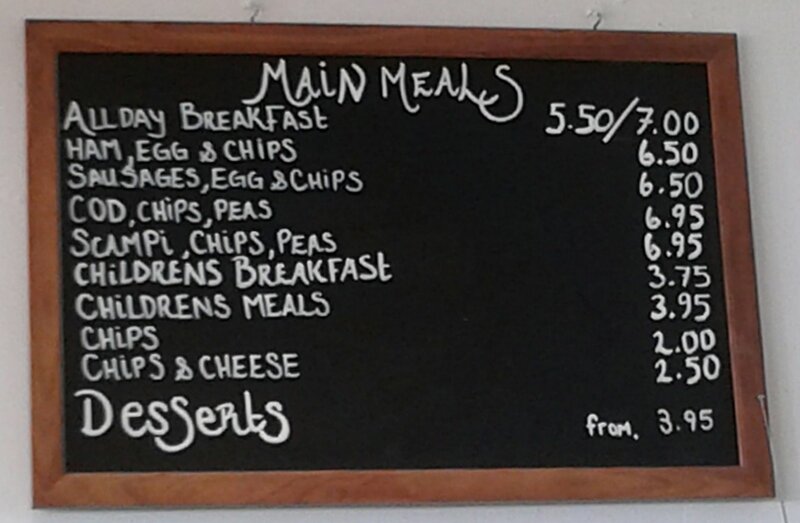 Rather like the grocer's apostrophe, I introduce the "dotted capital I" which makes multiple appearances on this menu, seen in a Hampshire coast caf� recently! I know of no type face in which the capital I is dotted, but similar to the incorrect use of an apostrophe (though actually not in this case!) a dotted capital I can make a random appearance when it is not needed. Just like inserting the grocer's apostrophe where it isn't needed, it's as though people can't bring themselves to leave the dot off the I, even when it's not needed on a capital. Of course the apostrophe is missing a couple of times here and we yearn for it. A quick glance over this menu by a local proofreader would have avoided these small issues. Ref: 111 You're right about the t! I hadn't spoTTed that. As for "desserts", we'll just call that a stylised S.